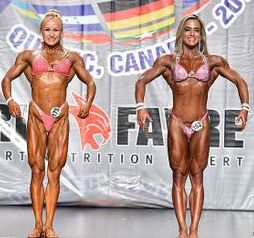 Women's Physique was introduced in 2013. The category is aimed at women who want to present a heavier and more muscular physique while still maintaining feminine proportions. Athletes present a more pronounced muscular development, leaner and drier physique with visible muscle separation, than the other female categories but without taking it to the extreme like in the former Women's Bodybuilding category. The physique should still retain its aesthetically eye pleasing proportions. Athletes wear a bikini and limited jewellery but no shoes. The Master of Ceremonies will call out all athletes in numerical order who will proceed to line up at centre stage. Once lined up the athletes will be introduced one by one, they will then be instructed to perform the quarter turns and the four mandatory poses by the MC. The order of the athletes will be inverted and the quarter turns and mandatory poses will be performed again. Should the judges require further comparisons the athletes will be instructed by the Stage Director to line up at the back of the stage until called out for further comparisons. After the physique round, athletes will proceed to backstage. The MC will then call out each athlete individually to perform a thirty second posing routine. Competitors wear an opaque two-piece bikini. The colour, fabric, texture, ornamentation and style of the bikini is left to the competitor’s discretion, except as indicated. The bikini bottom must cover a minimum of 1/2 of the gluteus maximus and all of the frontal area. The bikini must be in good taste. G-strings are strictly prohibited. The attire will be inspected during the Official Athlete Registration. The hair may be styled. Only a wedding ring, bracelets and earrings are allowed on stage. 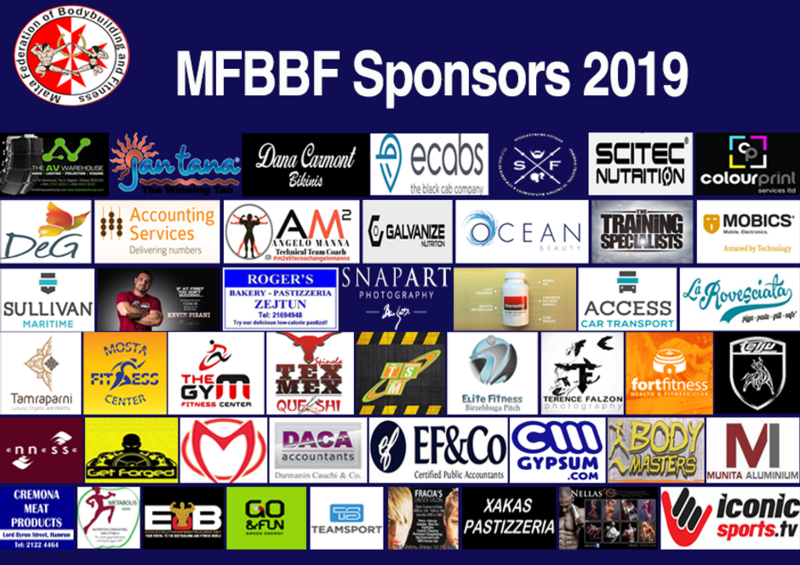 Competitors will not wear glasses, watches, pendants, necklaces, wigs or artificial aids to the figure, except breast implants. Implants or fluid injections to change the natural shape of any other parts or muscles of the body are strictly prohibited and may result in disqualification of the competitor. The delegated representative, will have the right to determine if a competitor’s attire meets an acceptable standard of taste and decency and instruct the athlete to change the attire, if it does not meet the prescribed standards. Each judge will first assess the overall female athletic appearance of the physique. This assessment should take into consideration the general impression of the physique, the overall athletic development of the musculature, the presentation of a balanced and symmetrically developed physique, the condition of the skin and the skin tone, the hair and makeup and the athlete’s ability to present on stage with confidence. During the comparisons of the Mandatory Poses, the judge will first look at the primary muscle group being displayed. He will then survey the whole physique starting from the head and looking at every part of the physique in a downward sequence, beginning with general impressions and looking for a symmetrical balanced development of all the muscle groups and definition. During the comparisons the judge will compare the athletes' muscle shape, density and definition while still bearing in mind the competitors' overall balanced development and femininity. The assessment should also take into consideration the tightness and tone of the skin. The skin tone should be smooth and healthy in appearance. The judge’s assessment of the athlete’s physique will take into account the athlete’s entire presentation, from the moment she walks on stage until the moment she walks off the stage. The Women’s Physique competitor must embody the idea of a healthy, fit, athletic-looking, muscular yet feminine physique, in an attractively presented “total package”.